In the battle, for box office supremacy, Walt Disney Animation’s Big Hero 6 triumphed over Christopher Nolan’s trip through the galaxies. That’s to be expected, what with Big Hero 6 running almost half as long as Nolan’s epic – and benefitting from the 3D boost in numerous theaters. Still, a win is a win, and I’m sure the folks at Disney are celebrating, while also contemplating their next step in the Big Hero 6 franchise. Disney loves sequels. Heck, Pixar Animation Studios has multiple sequels in the pipeline, from Finding Dory to the recently announced Toy Story 4. Big Hero 6 doesn’t have a sequel on the docket… yet. 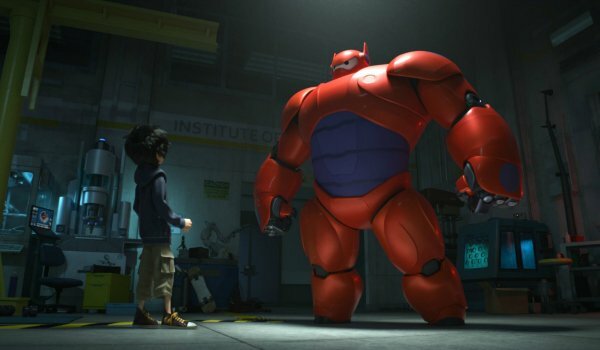 But during a premiere screening at the Savannah Film Festival, Zach Parrish, the head of animation on Big Hero 6, hinted at a possible direction on a potential sequel, and we discuss that juicy reveal in this week’s Monday Movie Memo. - My plea to parents to see this with their kids, and why. - Our analysis of the film’s 3D. - Our conversation with the creative team on the film. - And finally, Pixar and Disney’s full animation slate from now to 2018. Could a Big Hero 6 sequel be added to this list in time?